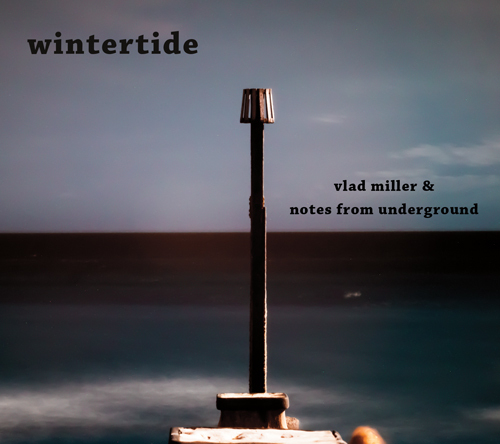 Vlad Miller Quartet ‘Notes From Underground’ perform modern jazz and contemporary classical compositions by the pianist Vladimir Miller whose writing is largely stimulated by jazz , Eastern European and Russian music traditions. Evocative melodies weave into captivating improvisations lending itself to engaging and exciting live performances. Experience and skilful musicianship combine to form the basis of this quartet. It includes Madras born Les Booth (six- string conga bass), who has worked with many well know artist including the legendary singer Billy Eckstine. Born in Guyana, drummer Dave Rohoman, has been well known on London jazz scene for many years, began his career after being spotted by Ian Dury. Adrian Northover (alto and soprano saxes) performs regularly on the London and European improvisation scene, and with the London Improvisers Orchestra.Vladimir Miller has been composer and MD for the celebrated Moscow Composers’ Orchestra, and more recently written and recorded for the Krugly Big Band Orchestra in Moscow, Russia, and Explore The Arch theatre company, Hastings, England. Vlad Miller Quartet NFU have performed regularly at jazz venues, jazz bars and theatres. These have included the Vortex Jazz Club , Oliver’s Jazz Bar, Greenwich, Oval Tavern Jazz Club, Croydon, Benares and The University Women’s Club, Mayfair, London, Explore The Arch Theatre, Hastings to name a few. “Miller…avoids flamboyance, building solos through sure and steady accumulation, gravity in the harmonies, tenderness in the touch” . (Fred Grand. Jazz Review ). (John L Walters. The Guardian ). “Millers’ strong melodic lines and stabbing, darting flurries of notes all suggest an original talent”. This entry was posted in Uncategorized and tagged Vladimir Miller.. Bookmark the permalink.